Comfortable black sweatpants with an open cuff. 50% cotton, 50% polyester. Please select option for Black Champion Sweatpants. 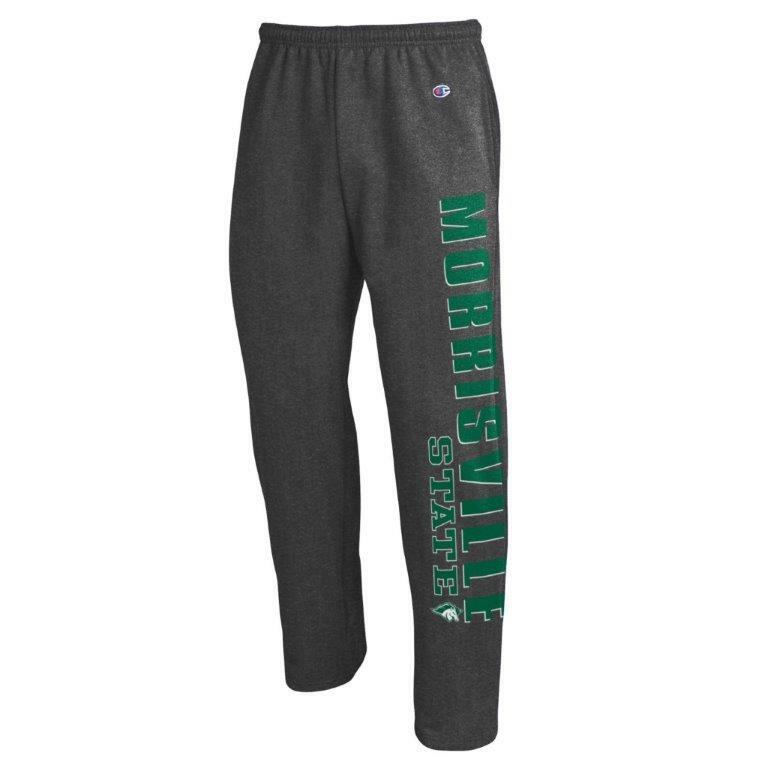 Morrisville State dark gray sweatpants with an open cuff. 50% cotton, 50% polyester. Please select option for Champion Sweatpants. 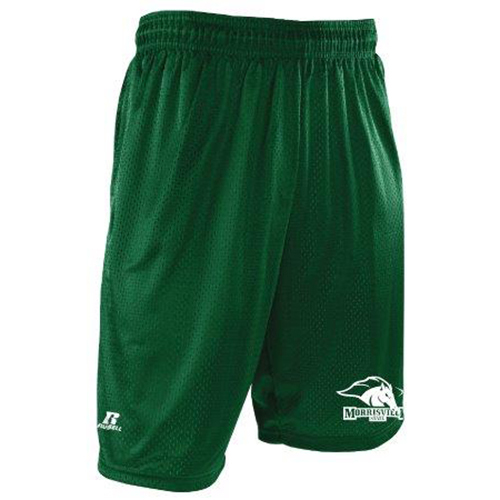 Mesh shorts in green or black, with Dri-Power, moisture wicking fabric, to keep you dry and cool. Please select option for Men's Mesh Shorts. Black Nike Pro compression shorts. 80% polyester, 20% spandex. Please select option for Nike Pro Compression Shorts. Black leggings from Nike Pro. Features Mustang logo on right front. Made with Nike Pro fabric, which moves sweat from your skin for quicker evaporation, helping you to stay dry, comfortable and focused on the task at hand. 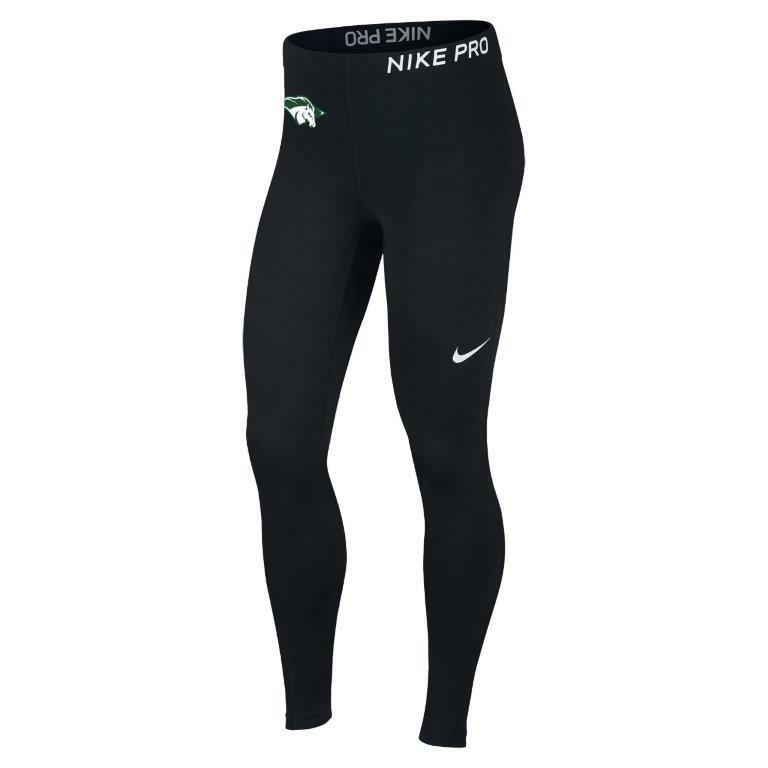 Please select option for Nike Pro Tight. 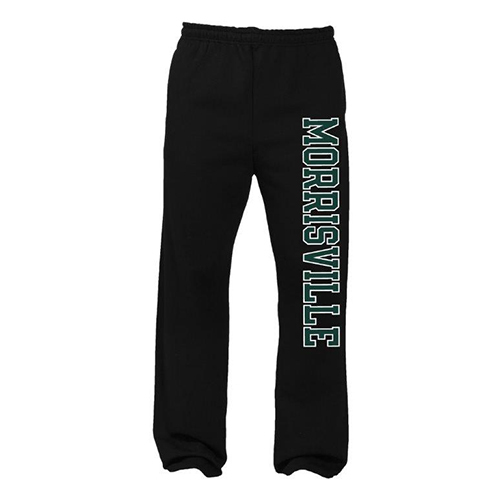 Black Morrisville sweatpants with open cuffs by Jerzeez. Please select option for Open Bottom Sweatpants.